Dr. Daniel Bainbridge completed both medical school and an anesthesiology residency program at the University of Saskatchewan in Saskatoon. He followed this with a fellowship in cardiothoracic anesthesia at Duke University in Durham, North Carolina. Following this, he started working at the London Health Sciences Centre, and was appointed as the Director of Perioperative TEE. Over the last 10 years, Dr. Bainbridge has held many positions including Coordinator of the Cardiac Fellowship Program, Coordinator of the City-Wide Fellowship program, and Director of the Cardiac Anesthesia program. Dr. Bainbridge is currently the president of the Canadian Anesthesiologists' Society. Ultrasound/Virtual reality guidance during beating heart endocardial procedures. 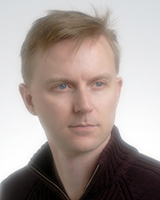 In 2011, Dr. Daniel Bainbridge received the CAS/GE Healthcare Canada Research Award in Perioperative Imaging. Sponsored by GE Healthcare Canada, this award is for projects in the field of perioperative imaging related to anesthesia and/or critical care. Dr. Bainbridge received this research award for his randomized trial: Virtual reality with ultrasound guidance versus ultrasound guidance alone for central line insertion. Chui J, Lavi R, Hegazy AF, Jones PM, Arellano R, Yang H, Bainbridge D. Identifying barriers to the use of ultrasound in the perioperative period: a survey of southwestern Ontario anesthesiologists. BMC Health Serv Res. 2019 Apr 4;19(1):214. doi: 10.1186/s12913-019-4040-2. Christidis NK, Fox SA, Swinamer SA, Bagur R, Sridhar K, Lavi S, Iglesias I, Bainbridge D, Jones PM, Harle CC, Chu MWA, Teefy P, Kiaii BB. Reason and Timing for Conversion to Sternotomy in Robotic-Assisted Coronary Artery Bypass Grafting and Patient Outcomes. Innovations (Phila). 2018 Nov/Dec;13(6):423-427. doi: 10.1097/IMI.0000000000000566. Ameri, G, Bainbridge D, Peters TM, Chen ECS. Quantitative Analysis of Needle Navigation under Ultrasound Guidance in s Simulated Central Venous Line Procedure. Ultrasound Med Biol. 2018 Aug;44(8):1891-1900. doi: 10.1016/j.ultrasmedbio.2018.05.004. Laing J, Moore J, Vassallo R, Bainbridge D, Drangova M, Peters T. Patient-specific cardiac phantom for clinical training and preprocedure surgical planning. J Med Imaging (Bellingham), 2018 Apr 1; 5 (2): 021222. Ameri G, Baxter JSH, Bainbridge D, Peters TM, Chen ECS. Mixed reality ultrasound guidance system: a case study in system development and a cautionary tale. Int J Comput Assist Radiol Surg. 2018 Apr; 13(4): 495-505. Chui J, Saeed R, Jakobowski L, Wang W, Eldeyasty B, Zhu A, Fochesato L, Lavi R, Bainbridge D. Is Routine Chest X-Ray After Ultrasound-Guided Central Venous Catheter Insertion Choosing Wisely? : A Population-Based Retrospective Study of 6,875 Patients. Chest. 2018 Mar 6, DOI: 10.1016/j.chest.2018.02.017. [Epub ahead of print]. Shehata N, Whitlock R, Fergusson DA, Thorpe KE, MacAdams C, Grocott HP, Rubens F, Fremes S, Lellouche F, Bagshaw S, Royse A, Rosseel PM, Hare G, Medicis E, Hudson C, Belley-Cote E, Bainbridge D, Kent B, Shaw A, Byrne K, Syed S, Royse CF, McGuiness S, Hall J, Mazer CD. Transfusion Requirements in Cardiac Surgery III (TRICS III): Study Design of a Randomized Controlled Trial. J Cardiothorac Vasc Anesth, 2018 Feb 1; 32 (1): 121-129. Ginty O, Moore J, Peters T, Bainbridge D. Modeling Patient-Specific Deformable Mitral Valves. J Cardiothorac Vasc Anesth, 2017 Sep 7. [Epub ahead of print]. Giambruno V, Hafiz A, Fox SA, Jeanmart H, Cook RC, Khaliel FH, Teefy P, Sridhar K, Lavi S, Bagur R, Randhawa VK, Iglesias I, Jones PM, Harle CC, Bainbridge D, Chu MW, Kiaii BB. Is the Future of Coronary Arterial Revascularization a Hybrid Approach? : The Canadian Experience Across Three Centers. Innovations (Phila), 2017 Mar 1; 12 (2): 82-86. Vergel de Dios J, Bainbridge D. Systematizing Safety in the Low-Resource Operating Theater. Current Anesthesiology Reports, 2017 Mar; 7 (1): 37-41. Jones PM, Bainbridge D, Chu MW, Fernandes PS, Fox SA, Iglesias I, Kiaii B, Lavi R, Murkin JM. Comparison of isoflurane and sevoflurane in cardiac surgery: A randomized non-inferiority comparative effectiveness trial. Can J Anesth. 2016 Oct 1; 63 (10): 1128-39. Jasudavisius A, Arellano R, Martin J, McConnell B, Bainbridge D. A systematic review of transthoracic and transesophageal echocardiography in non-cardiac surgery: implications for point-of-care ultrasound education in the operating room. Can J Anaesth. 2016 Apr; 50: 24-30. Bainbridge D, Cheng DC. Early extubation and fast-track management of off-pump cardiac patients in the intensive care unit. Semin Cardiothorac Vasc Anesth. 2015 Jun;19(2):163-8. Nakamura Y, Bainbridge DT, Kiaii B. Peripheral thrombosis and necrosis after minimally invasive redo mitral valve replacement due to unknown etiology: Difficult diagnosis of heparin induced thrombocytopenia. Case Rep Vasc Med. 2015;383104. Epub 2015 Apr 14. Tam DY, Jones PM, Kiaii B, Diamantouros P, Teefy P, Bainbridge D, Cleland A, Fernandes P, Chu MW. Salvaging catastrophe in transcatheter aortic valve implantation: rehearsal, preassigned roles, and emergency preparedness. Can J Anaesth. 2015 Aug; 62(8): 918-26. McLeod AJ, Currie ME, Moore JT, Bainbridge D, Kiaii BB, Chu MW, Peters TM. Phantom study of an ultrasound guidance system for transcatheter aortic valve implantation. Comput Med Imaging Graph. 2014 Dec 15. pii: S0895-6111(14)00190-6. Lavi S, Bainbridge D, D'Alfonso S, Diamantouros P, Syed J, Jablonsky G, Lavi R. Sevoflurane in acute myocardial infarction: a pilot randomized study. Am Heart J. 2014 Nov;168(5):776-83. Bainbridge D, Cheng D. Perioperative mortality and cardiac arrest [Chapter 2]. In: McConachie I, editor. Anesthesia and Perioperative Care of the High-Risk Patient, 3rd Ed. United Kingdom: Cambridge University Press; c2014. Camuglia AC, Syed J, Garg P, Kiaii B, Chu MW, Jones PM, Bainbridge D, Teefy P. Invasively assessed coronary flow dynamics improve following relief of aortic stenosis with transcatheter aortic valve implantation. J Am Coll Cardiol. 2014 May 6;63(17):1808-9. Lavi S, Jolly SS, Bainbridge D, Manji F, Randhawa V, Lavi R. Sedation, analgesia, and anaesthesia variability in laboratory-based cardiac procedures: an international survey. Can J Cardiol. 2014 Jun;30(6):627-33. Nakamura Y, Teefy P, Kiaii B, Syed J, Jones PM, Bainbridge D, Wisenberg G, Chu MW. Transcatheter aortic valve implantation in a patient with severe aortic insufficiency and minimal aortic annular calcification. Can J Cardiol. 2013 Sep;29(9):1138.e9-1138.e11. Moore JT, Chu MW, Kiaii B, Bainbridge D, Guiraudon G, et al. A navigation platform for guidance of beating heart transapical mitral valve repair. IEEE Trans Biomed Eng. 2013 Apr;60(4):1034-40. Bainbridge D, Martin J, Arango M, Cheng D. Anaesthetic-related mortality in sub-Saharan Africa - Author's reply. Lancet. 2013 Jan;381:199-200. Prapaitrakool S, Bainbridge DT, Lavi R. Anesthesia management for ablation therapy in post heart transplant arrhythmia. OJA. 2013;3(8):349-52. Bainbridge D, Martin J, Arango M, Cheng D; Evidence-based Peri-operative Clinical Outcomes Research (EPiCOR) Group. Perioperative and anaesthetic-related mortality in developed and developing countries: a systematic review and meta-analysis. Lancet. 2012 Sep 22;380(9847):1075-81. Chu MW, Moore J, Peters T, Bainbridge D, McCarty D, Guiraudon GM, et al. Augmented reality image guidance improves navigation for beating heart mitral valve repair. Innovations (Phila). 2012 Jul-Aug;7(4):274-81. Guiraudon GM, Jones DL, Bainbridge D, Cohen L, Lecompte Y, Hidden-Lucet F, et al. Hybrid access to atria via the Guiraudon Universal Cardiac Introducer for arrhythmia ablation after total cavopulmonary derivation. Innovations (Phila). 2012 May-Jun;7(3):217-22. Adams C, Bainbridge D, Goela A, Ross I, Kiaii B. Assessing the immediate and sustained effectiveness of circular epicardial surgical ligation of the left atrial appendage. J Card Surg. 2012 Mar;27(2):270-3. Lang P, Seslija P, Chu MW, Bainbridge D, Guiraudon GM, Jones DL, Peters TM. US-fluoroscopy registration for transcatheter aortic valve implantation. IEEE Trans Biomed Eng. 2012 May;59(5):1444-53. Cho DS, Linte C, Chen EC, Bainbridge D, Wedlake C, Moore J, et al. Predicting target vessel location on robot-assisted coronary artery bypass graft using CT to ultrasound registration. Med Phys. 2012 Mar;39(3):1579-87.